You did what with Duct Tape? So I had this boring shelf in my classroom (please excuse the disaster area around my shelf) that I needed to keep because I needed it for all of my teacher binders and book, but it was just so drab. Light bulb!!! A few weeks ago I saw a great linky party (I can't remember where, if it was you please let me know!) 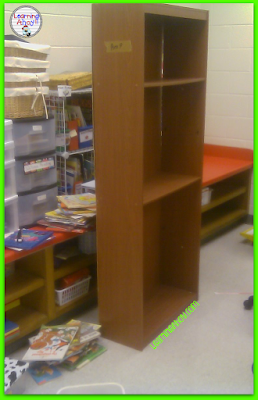 about taking old furniture or classroom items and making them new again. 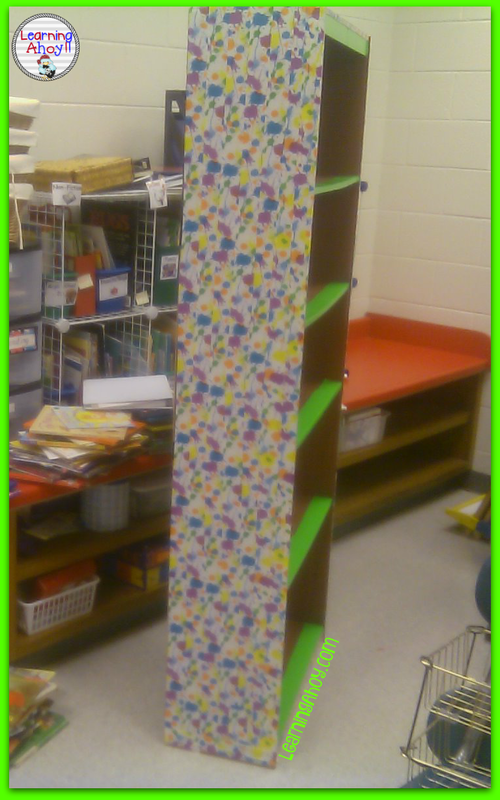 One of the links was to a page where the teacher had used duct tape to renew a bookshelf. I loved it. Earlier this week I went to target and found the perfect duct tape. I also picked up a roll of green duct tape as an accent color. I used regular ugly duct tape on the back since no one will see that part. Then I used my new duct tape to make it look pretty. After working I found that it was easier to start on the trim first, but overall it was not too difficult. I really love how it turned out. Have you ever used duct tape for decoration purposes? I was talking to a friend about Duct tape the other day and she memtioned that someone on her husbands side of the family used duct tape as a border for a chair rail in her house.. How interesting!?!? Awesome shelf! 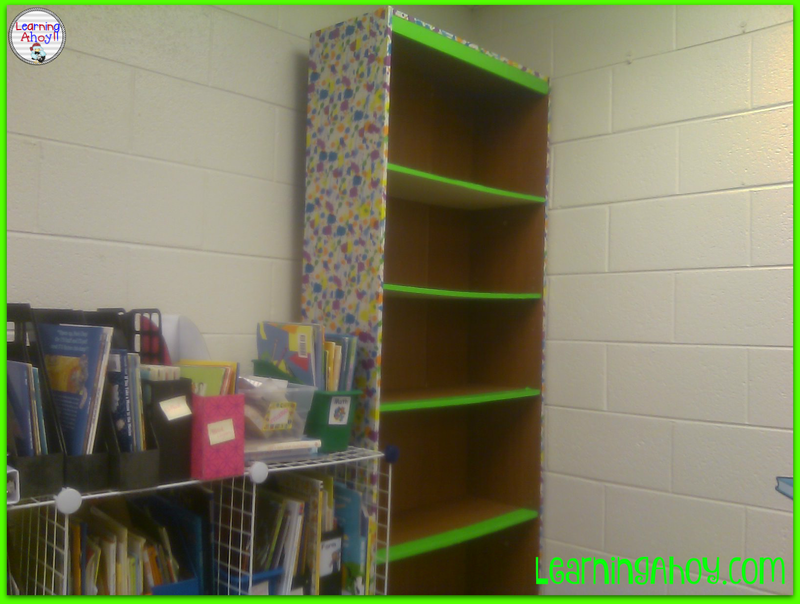 I know that you used the green duct tape in the book shelves...but what did you use in the sides? On the sides I used duct tape called paint splatter. It was easy to use because I didn't have to worry about matching up a pattern. Your bookshelf looks great! I purchased a teal colored duct tape and covered the frame around an old magnetic whiteboard. I really, really needed the magnetic whiteboard but the frame was cracked and stained. The duct tape was perfect. Today I am using duct tape to cover the shelves on an monster bookshelf I bought when Borders went out of business. It's too big for me to paint and it's just the shelves that are beat up. Duct tape is the perfect solution. I would also love to see the duct tape linky party if anyone has the link! What a great way to salvage an older piece of furniture and add some color to your classroom at the same time! I love to hear from the crew! Hi! 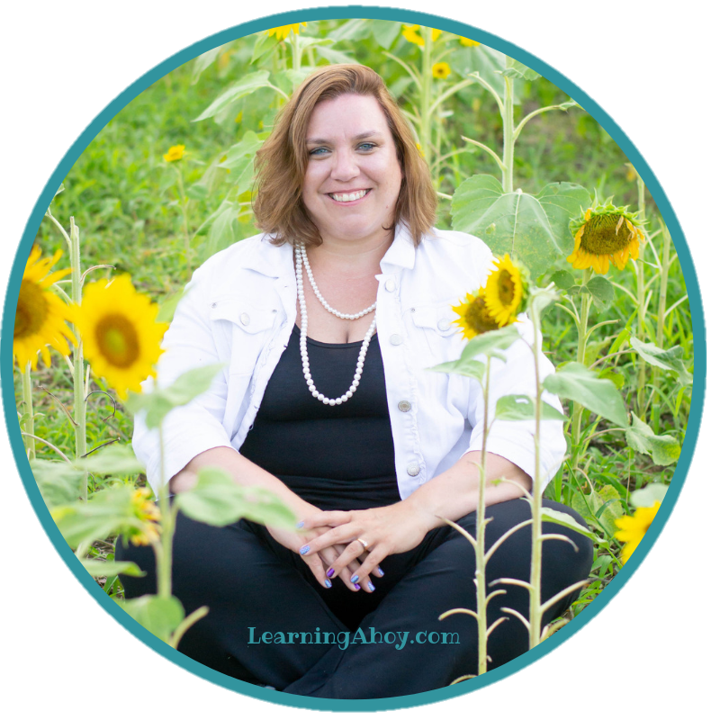 My name is Caitlin and I am a special education teacher, wife and mom. 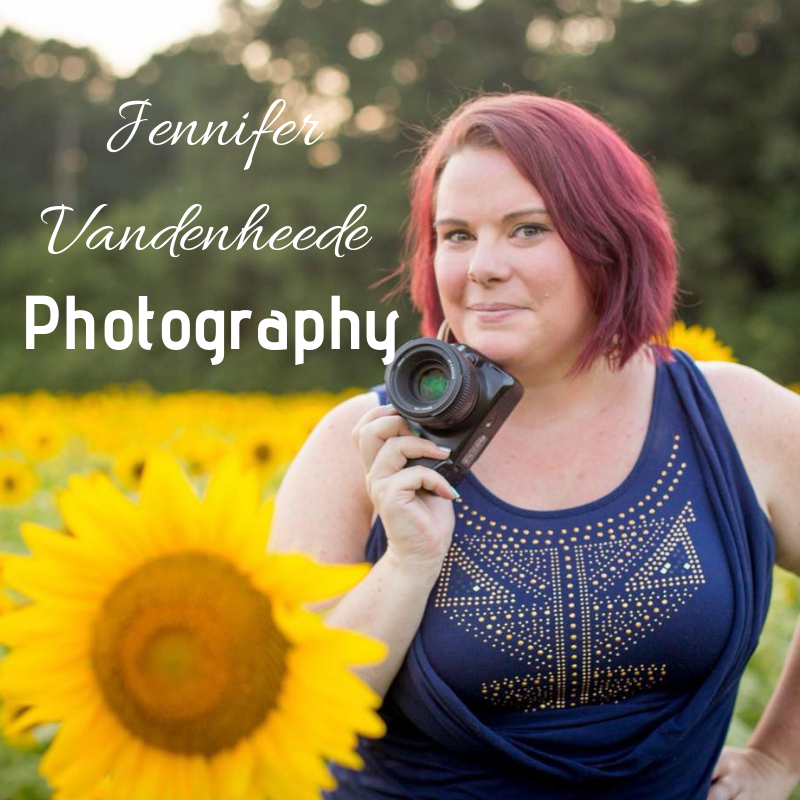 I love sharing ideas, resources, and collaborating with other teachers! 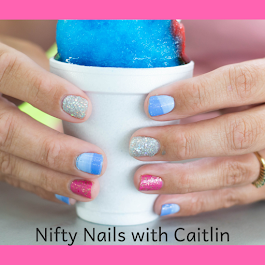 100% nail polish strips! Easy to put on, no dry time, no mess! Click the picture to find out more. 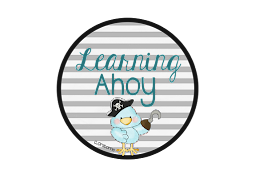 Learning Ahoy blog by Caitlin Orsborne is licensed under a Creative Commons Attribution-NonCommercial-ShareAlike 3.0 Unported License.